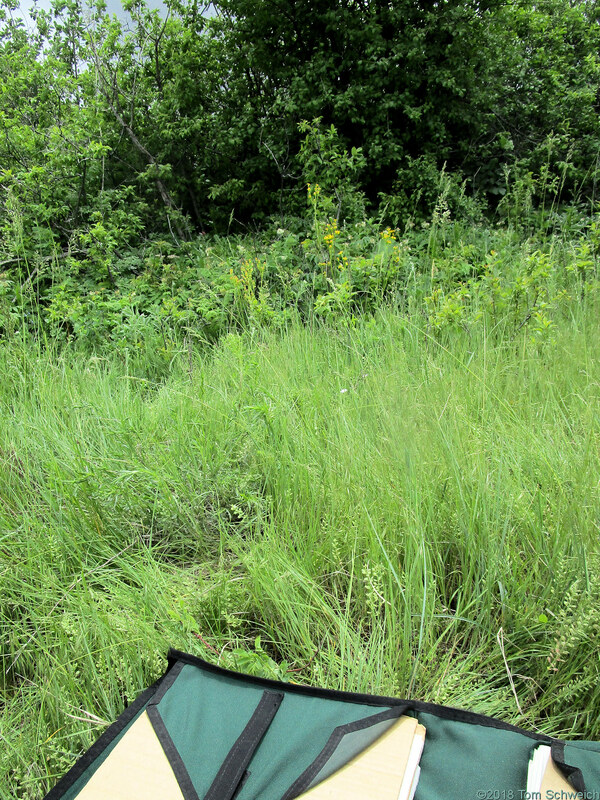 Photo: Habitat of four collections in the Survey Field. Eastern Mojave Vegetation Habitat of four collections in the Survey Field. Coll Nos. 1897, Senecio integerrimus, 1898, Hydrophyllum fendleri, 1899 , Androsace occidentalis, 1900, Veronica, maybe V. arvensis. Field Notes: Coll. No. 1897, 28 May 2018. Other photos about Geography - Golden, Colorado or Survey Field.